Established in 2001 by Fairfax, VA attorney Edward L. Weiner, Esq., Jazz 4 Justice is an award-winning annual concert presented by the Fairfax Law Foundation, Prince William County Bar Association and Mason Jazz Ensemble, directed by Jim Carroll. Jazz 4 Justice is a truly unique event where attorney’s, judges, students and members of the Northern Virginia community gather to celebrate their love of jazz. 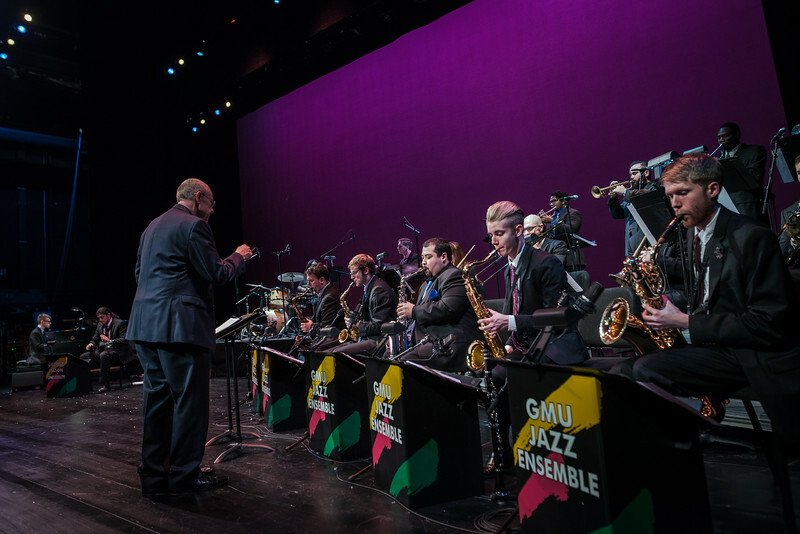 Proceeds from the evening help the Fairfax Law foundation continue its mission of service to the Northern Virginia community as well as providing financial support for the Mason Jazz Studies department for school trips, recordings and student scholarships.